Although we are well known for our Underfloor Heating, our passion is the application of manifolds to plumbing and heating systems. The Site References here are all related to their installation and use. The use of manifolds is a change in the working practice of an M&E installer. It gives distinct advantages to the installer. It makes his life easier on site – a faster, more efficient installation technique. With a manifold based system, whether for drinking water or wall hung radiators, at the heart of the system, the plumbing network changes radically. Manifolds enable point to point plumbing. Great phrase, but what does it mean? It means continuous pipe runs, with no joints, from the manifold to the point of use – whether that is a radiator or a tap. No joints between those two points means two things – no places to leak other than at origination and termination, generally both accessible – and without tees or elbows, reduced costs in product and time. It can be up to 40% quicker to install using a manifold based technique – but it needs a little planning and you won’t see the benefit first time out. Once the product is installed, the next advantage is in commissioning – depending on how feature rich the manifold product is, you can carry out a lot of your work from the one location, like lockshield balancing for example. There is a long list of benefits. Why don’t you look at the site references below? Then if you think it is worth a try, ring us on 01993 824900 and get more details. Then make a trial site installation. We would be happy to consider subsidising the first one. This is not clever product, its smart installing. The new Hinkley Point C is the first in a new generation of power stations. Constructed in Somerset Hinkley Point C will create 25,000 employment opportunities and, once completed, it will provide approximately 900 jobs throughout the 60 years of operation. Instead of using traditional soldered copper pipe on the project the mechanical contractor chose to utilise Emmeti’s Gerpex Multi-Layer Composite Pipe and Gerpex Press Fittings. Ranging in size from 16mm up to 75mm the pipework and fittings were easily used in conjunction with all the customer’s standard system components (drain valves, shower mixers, thermostatic blenders) by using Emmeti’s patented Monoblocco connector system. A modern development of 30 one and two-bedroom supported living apartments for the over 55 market in Woodley, The Birches also included communal areas, guest apartments and an on-site café. The build was delivered on time and to budget with Emmeti products enhancing the delivery of the heating and domestic water services. Instead of using traditional soldered copper pipe on the project the mechanical contractor chose to make use of Emmeti’s Gerpex Multi-Layer Composite Pipe and Gerpex Press Fittings. 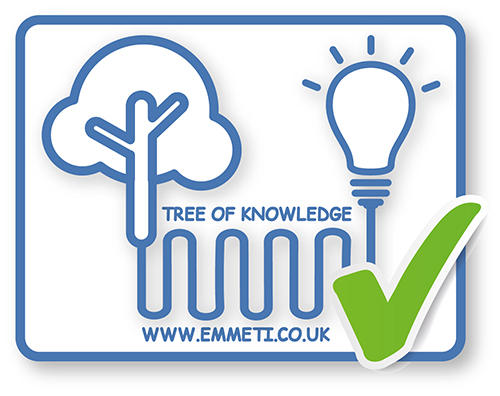 Ranging in size from 16mm up to 63mm the pipework and fittings were easily used in conjunction with all the customer’s standard system components (drain valves, shower mixers, thermostatic blenders) by using Emmeti’s patented Monoblocco connector system. The radiator heating system was completed using Emmeti’s MLCP pipe work with point to point manifolds used in each apartment. Described by developers as the future of contemporary urban living, this significant housing, leisure and retail development is designed to re-generate a 90-acre space in the Borough of Ealing. Phase 1 consists of 618 residential properties with of a mixture of studios, 1, 2 and 3 bedroom apartments. Instead of using traditional soldered copper pipe on the project the mechanical contractor chose to utilise Emmeti’s Gerpex Multi-Layer Composite Pipe and Gerpex Press Fittings. Ranging in size from 16mm up to 63mm the pipework and fittings were easily used in conjunction with all the customer’s standard system components (drain valves, shower mixers, thermostatic blenders) by using Emmeti’s patented Monoblocco connector system. Gerpex was also utilised within the riser systems for each apartment block. 6 way Emmeti FMU2 manifold, connected with 16 x 2mm AL-PERT pipe used for Underfloor heating in 3 zones, castellated panel with spreader (heat emission) plates, CS-11 thermostats, EWC-1 wiring centre and RCE weather compensation control. 16mm and 26mm Gerpex Multi-Layer Composite Pipe and Press Fittings also used for the primary pipework. Hot and cold manifold plumbing for bathroom and kitchen, using a multiplex plumbing manifold, with 15mm PolyButylene WRAS approved pipe. Hot and cold manifold plumbing, for bathrooms and kitchen using a Topsan Plumbing Manifold with 10mm and 15mm PolyButylene pipework.